Pursue untapped profit with a simple all-in-one platform that opens up YouTube Content ID data. Bring unprecedented order and ease to the tough task of YouTube Content ID management. Give clients automated reports, an earnings dashboard, and make the most from claimed content. Automatically leverage all YouTube Content ID data, calculate earnings, and provide rights holders with access to a white labeled portal that's sure to impress. 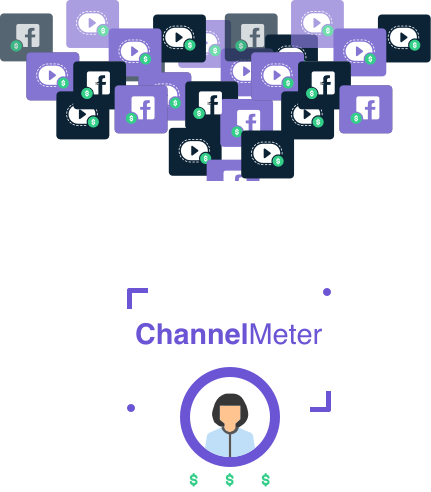 Gauge the efficacy of your claiming operations, aggregate YouTube Content ID data and get real-time data insights and analysis of claim earnings. Optimize claims efficiency and monetization to new heights. 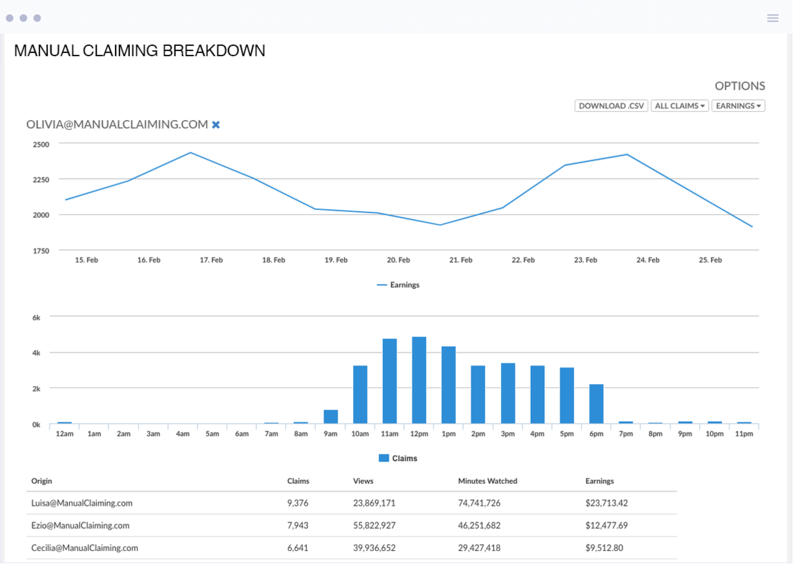 Gauge your claiming operations, aggregate YouTube Content ID data and get real-time claim earnings intelligence. Optimize claims efficiency and monetization to new heights.